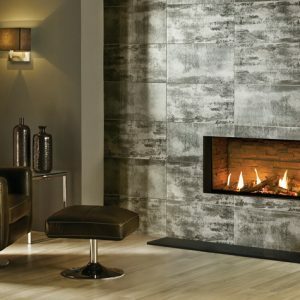 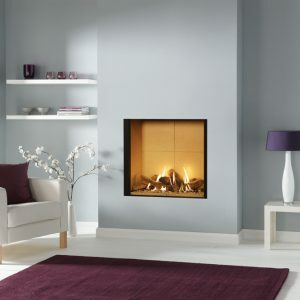 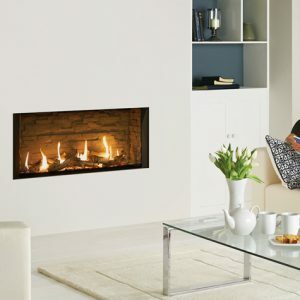 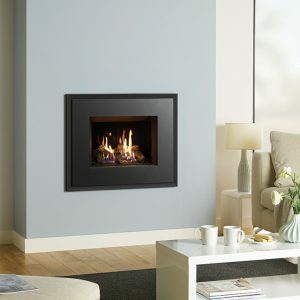 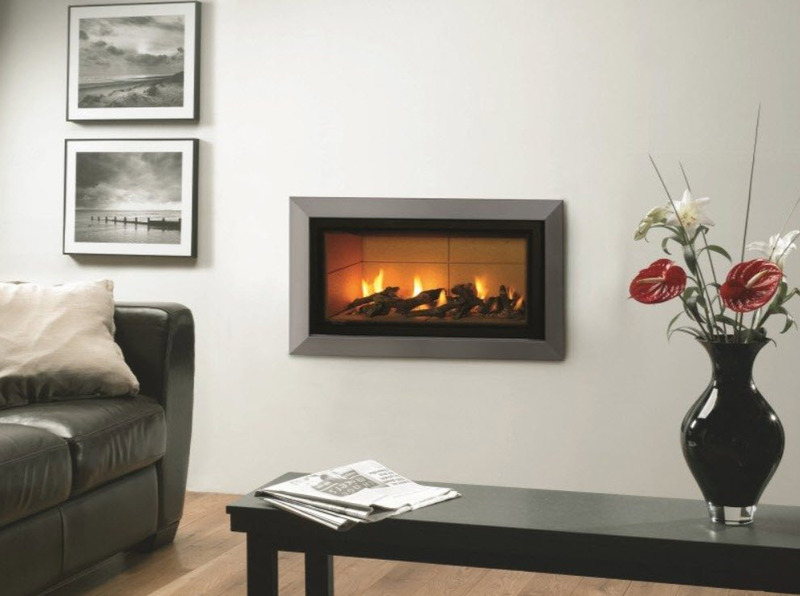 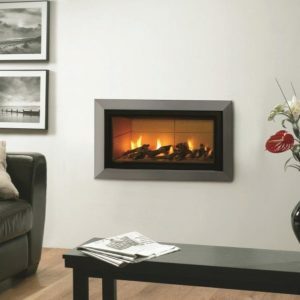 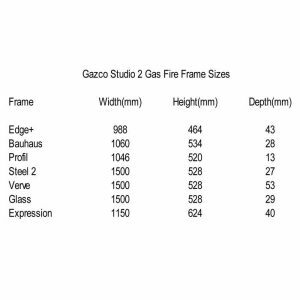 The Studio 1 Glass Fronted gas fire by Gazco is the smallest in the range making it perfect for the smaller area. 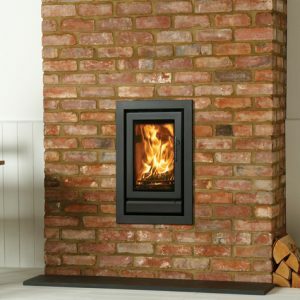 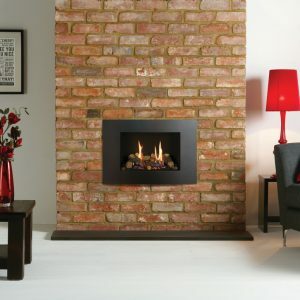 Available as either glass fronted or an open fire, no matter which you choose there are a variety of options for the style and colour to create your ideal look. 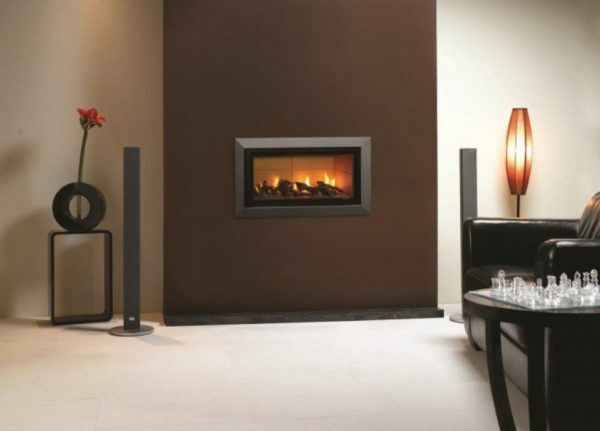 For white stone fuelbeds, the black interior of the open fire can be upgraded to a black granite lining. 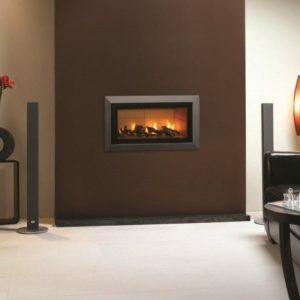 You can also upgrade your stone fuelbed to to a glass bead fuel option. 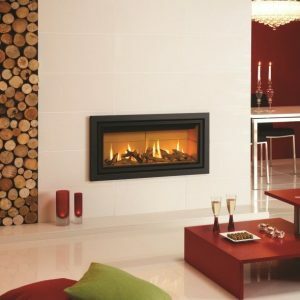 These beautiful beads make your fire a centrepiece whether or not it’s in use and the red beads deepen to a gorgeous deep burgundy when the fire is alight. 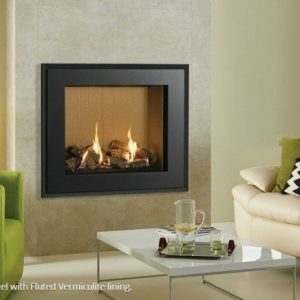 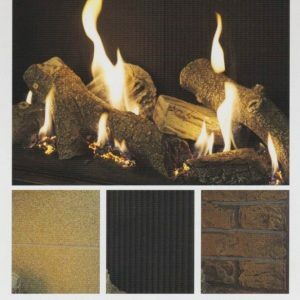 If you opt for logs as your fuelbed instead, you can choose between a vermiculite or black reeded lining. 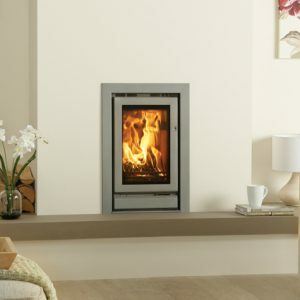 Available in either natural gas or LPG you can expect a heat output of between 4.70kw and 5.20kw depending on whether you have a conventional or balanced flue and your selection of fuelbed. That’s an efficiency rating of up to 80%.